Samsung's Smart Pause feature in the Galaxy S4 will start and stop video simply by sensing whether or not the viewer is looking at the screen. It's a neat addition that takes the annoyance of having to tap the display, and then tap pause when a distraction comes along. But the feature—unfortunately for these people—seemingly works so well that it could mean the difference between winning an S4 and going home empty handed. 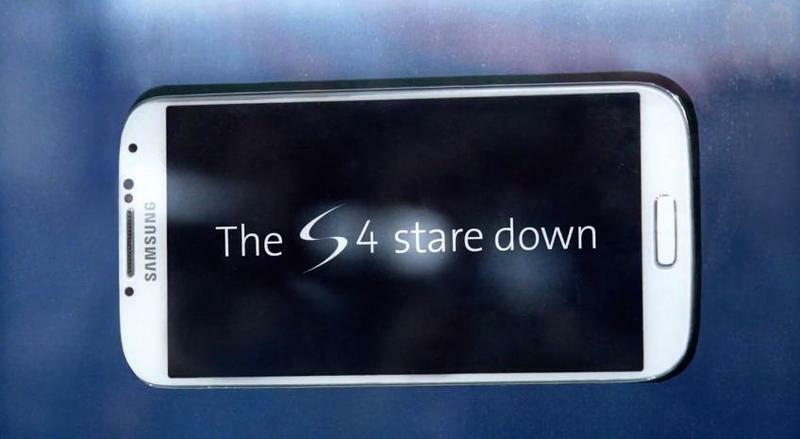 Swisscom devised a rather clever ad that asks travelers in a Zurich train station to stare at an S4 for 60 minutes. Complete the challenge without looking away and win the device. But it's not as easy as it sounds. Rather than allowing people to stare at the device undeterred, Swisscom pulls out a bag of tricks in an attempt to get players to look away. In the video, you'll see all kinds of distractions: arguing couples, barking dogs, dirt bikes, pestering musicians and even a hotdog vendor who catches fire. The cynic in me believes every single participant, even those taking on the challenge, are in on it. But it's good marketing nonetheless, and hilarious when someone looks away in the home stretch. Me? I'm pretty sure I wouldn't last 60 minutes, or even 30 minutes. It just depends on how badly you want to win Samsung's new device.